Louisville, Ky - Elections have consequences folks and this year is no exception. I have to admit that outside of the Presidential races it is hard to get excited on a local basis. Why? Because we are faced with the same old garbage as usual. We will discuss some of that on the next Ed Springston Show on Monday May 16. There are a couple of interesting races though and the Republican primary in Council District 16 is one of them. In the interest of fairness I have to point out that I know District 16 Republican candidate Chip Sobel on a personal basis. Make of that what you will, I also know many establishment Republicans on a personal basis including Ken Fleming, Kelly Downard and a whole host of others. 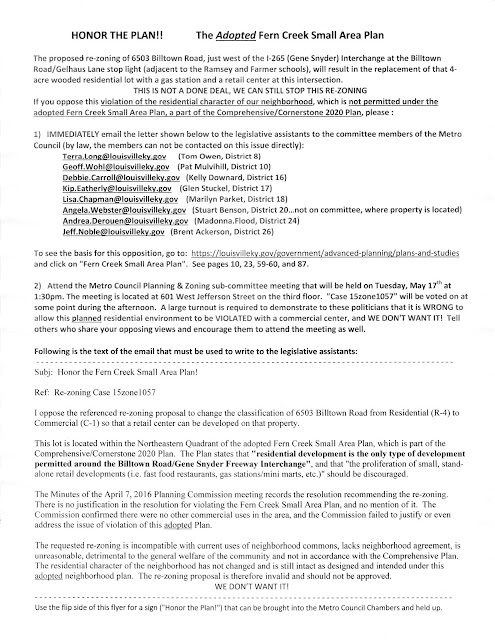 Louisville, KY - Metro Council and zoning are at it again. Once again ignoring their own Cornerstone 20/20 plan. Amazing how they push that plan down our throats when it is convenient for them but ignore it when we hold them accountable as well isn't it? 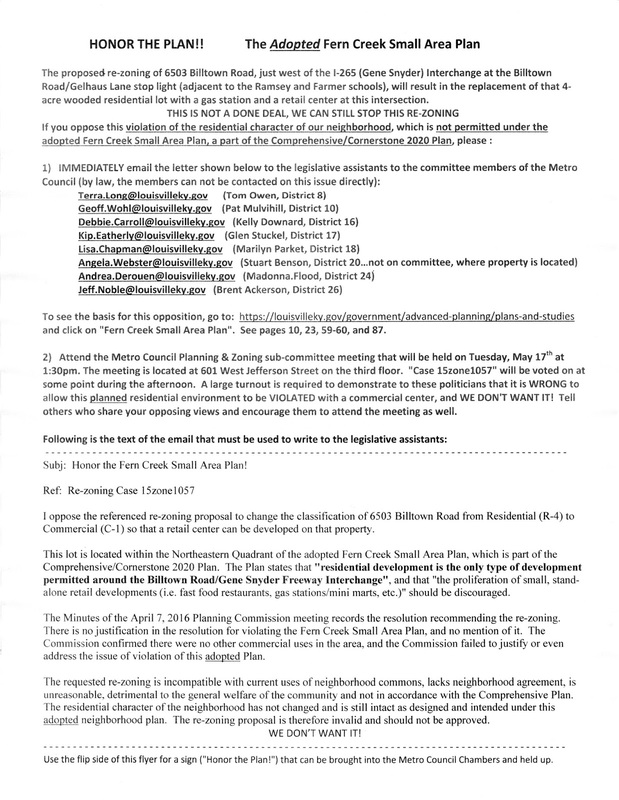 This Tuesday May 17, they will meet to decide on whether to change the zoning designation at Billtown Rd and the Gene Snyder so it can be developed for commercial use. Once again violating their own agreements. It is time to take a stand Louisville and finally tell these "leaders" we are tired of being ignored. Make plans to attend and let your voice be heard in person. Make plans to attend if at all possible folks. Louisville, Ky - As most of you know by now, I initiated a suit and was granted and injunction on the removal of the confederate statue that Greg Fischer and Jim Ramsey are pretending to care about. Do not pay attention the candidate Everett Corley trying to use this for his own gain. He knew nothing. The issue is a National one with too many people to count at this point wanting to get involved in some way. Louisville, KY - Over the last 48 hours since an injunction was sought by myself against Mayor Fischer over his illegal attempt to remove the Confederate Monument, there have been hundreds of people locally asking for more information and wanting to join us. The more the merrier. Additionally, thousands right here at home and across the Country have been paying attention to the renegade Mayor and his attempts to play dictator and have been in contact with us as well. Louisville, KY - As many of you know by now a restraining order was issued this morning on my behalf for an injunction to keep Mayor Fischer and U of L President James Ramsey from illegally removing the confederate monument at the University of Louisville. There is much confusion on this effort thanks to my allowing current candidate Everett Corley, or Corley Everett depending on which way he is naming himself this week, to be on the request. He has politicized this in an effort to gain some notoriety or name recognition in his effort to defeat incumbent Rep. John Yarmuth.